Andrei Polgar of Auctionpus.com took some time to answer some questions about his new domain name auction platform. The site surfaced prior to the Bido shut down and stirred up conversation on some of the domain forums. The unusual name, 8 domains on auction per day, who is this guy? What’s he up to? Andrei: A lot of folks like to talk about how they started from scratch but then they all of a sudden start mentioning that $5,000 or $7,000 they had saved up and when I compare that to how things were back when I was learning the ropes, I find myself asking just one question: how is that starting from scratch? About 10 years ago, I didn’t even have heating. I used to live a 2 bedroom apartment heated by this electric thingy and to be perfectly honest, I have some great memories. I didn’t live in what you would call a secure environment (even a retired kindergarten teacher could have kicked that thing we called a front door into oblivion) but my past is a part of who I am. When I first started looking at the Internet as a moneymaker, holding $200 – $300 sounded like a far away dream and as far as loans were concerned, let’s just say that they were out of the question. The result: I got started with an empty moneybookers account (we didn’t even PayPal over here back then). Not a lot of people remember how they “fought for the first dollar” (most use it as a figure of speech) but I actually fought for my first dollar… literally. I’m sharing this story for the first time: I was on this forum and some dude offered to pay $1 (yes, one dollar) for performing some random task. Well, I did what he told me and he refused to pay. Next thing you know, I was “chasing him”, replying to every post he made about how he’s a scammer who had better give me that dollar! I kid you not, 100% true story: I actually chased after some guy for a buck. Of course, I gradually upped my game and everything I did had one thing in common: I always offered services at rates which were so incredibly low that competing with me wouldn’t have been worth it for everyone else. I kept it simple, one service at a time and later on one site at a time. Then PayPal finally let us in and everything became a LOT easier. I’ve seen it all and gradually went from making my first $50 per month online to making my first $100, then $500, then $1000, then $5,000 and so on. I’m anything but a one hit wonder and again, I’ve literally seen it all: services, development, paying for traffic and monetizing it via affiliate programs and then domaining. People always ask me what I do and to be perfectly honest, I don’t have a clue what I’m supposed to answer. Do you develop websites? Yep. Does your company offer online services? Yep. Which services do you offer? It would be easier to say what we DON’T offer. 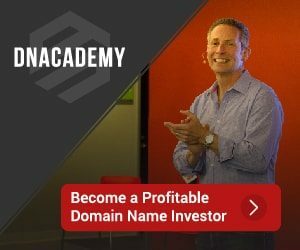 Do you invest in domains? Yea. I never quite understood why some folks want to define themselves or anyone else as someone who does just one thing. If it makes money, I’m there and if anyone wants a definition of what I do, here it is: I make money for a living. Mike: With all of the auction platforms around, what differentiates Auctionpus.com? Why should domain owners list with you? Andrei: Simplicity taken to the extreme, that was my business model for Auctionpus.com right from day one. There’s this octopus that’s pointing at 8 domains, that’s it. Nothing more, nothing less. I only list quality domains and with only 8 spots available, I’d have to be a complete idiot to choose a different approach. The “hey everyone, let’s sell crappy domains” cycle needs to end because NOBODY wins. Sellers probably won’t even break even, buyers pay money to own a liability. Not exactly a win-win situation! By only listing investment quality domains, you’re building something on a solid foundation and that’s what Auctionpus.com is all about. Mike: Do you feel your platform is a good alternative with the fall of Bido? Andrei: Auctionpus.com is what it is. I never like to compare my sites to other projects and as far as Bido is concerned, the owners are great guys who tried their best but sometimes it just doesn’t work out. Mike: I realize the site is in it’s early stages. What is your ultimate vision of the site? Mike: You encourage no reserves and starting bids of $1. 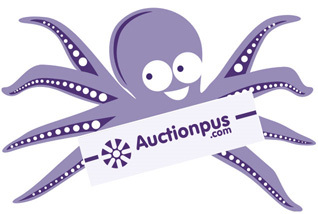 What has been the average winning bid on domains sold through Auctionpus.com? Andrei: I need to experiment like a maniac in order to find out what the market wants and act accordingly. I don’t have enough data to draw conclusions yet because I basically went with a different approach each day. Some days saw a median sales price close to my $500 goal, some didn’t, it all depends on the domains which are listed. Mike: Why the name Auctionpus? It’s clear once the site is seen, but I have heard others comment on “pus” being mistaken for “puss” or a typo of Auction’plus’.com.” Any concerns there? Andrei: Let’s not forget that I’m selling to people who make money online and not to folks who have just heard about the Internet. In other words, I’m pretty sure traffic leakage will not be an issue. It’s an *octopus* which points at 8 *auctions*, in other words an *auctionpus*. Some people love it, some people hate it and that means I must be doing something right. I would have been worried if people had a neutral attitude towards this project to be perfectly honest, now there’s a nightmare for any marketer! Mike: Are you accepting submissions, today’s items all appear to be owned by you? Andrei: I am accepting submissions but only if we’re talking about quality domains priced to sell. Otherwise, I’m better off moving my own inventory. If I accept crappy domains, nobody will buy them. If I accept good domains with outrageous reserves, nobody will buy them. Win-win or no deal, that has always been my way of doing business. Andrei: At this point, I’m experimenting. I’ll run no reserve auctions today, then reserve auctions tomorrow. The day after that, I’ll run 8 4-figure domains only to see how the market reacts to 8 2-figure domains a day later. It’s all a matter of finding out what the market wants. Mike: Are there requirements around the type of names that you’ll auction? Andrei: We prefer dot com domains but will gladly accept other TLDs if we’re talking about quality one-word domains with commercial appeal. Mike: What type of feedback have you received to date? Are you open to suggestions from visitors? Andrei: We’ve received some amazing feedback from our visitors and are definitely not just listening but also implementing changes based on what our users want. People thought that our initial design sucked, no problem. We changed it and now practically everyone agrees that it’s great. This is just one example, let’s just say that only a moron would ignore advice given by someone who invested a few minutes of his or her time in order to contribute without asking for anything in return. Thank you, Andrei, for your time and your words. What do you think of Auctionpus.com? The site, the concepts, the information above. Please post a comment and share your thoughts. Nice article Sully. I am still skeptical with this site. A lot of auction platforms pop up and don’t have the chops to last. You always hear the mantra of “Good Names” and Quality names” but rarely do the online only sites deliver. The names seen on AucionPus.com to date reinforce that it seems. I know, “Beauty is in the ‘Portfolio’ of the Holder” so I reserve judgement on that point while they find their feet. Two things would help submissions to AuctionPus. Getting a handle on traffic to gauge the amount of potential bidders would be nice and historical closing information to see what different names are selling for. Would rather not just take the Owners word for it. Ignoring the features of the auction site for a moment, that domain name is EPIC FAIL squared. You need to find another. Thanks Mike and as far as the domain Auctionpus.com is concerned, the situation is great IMO: on the one hand, you have folks who love it and who love the concept and on the other hand, you have folks like Drewbert who hate it. No hard feelings, pleasing everyone is impossible and I knew that right from day one. Will there be bargains? Yep. Will there be great deals for the seller? Yep. It’s impossible to predict how the market will react to one domain or another and that’s probably the most exciting thing about the industry.